Welcome to my world of rainbows, prisms and daydreams. I have spent most of my life living on the edge, with lots of exciting adventures. 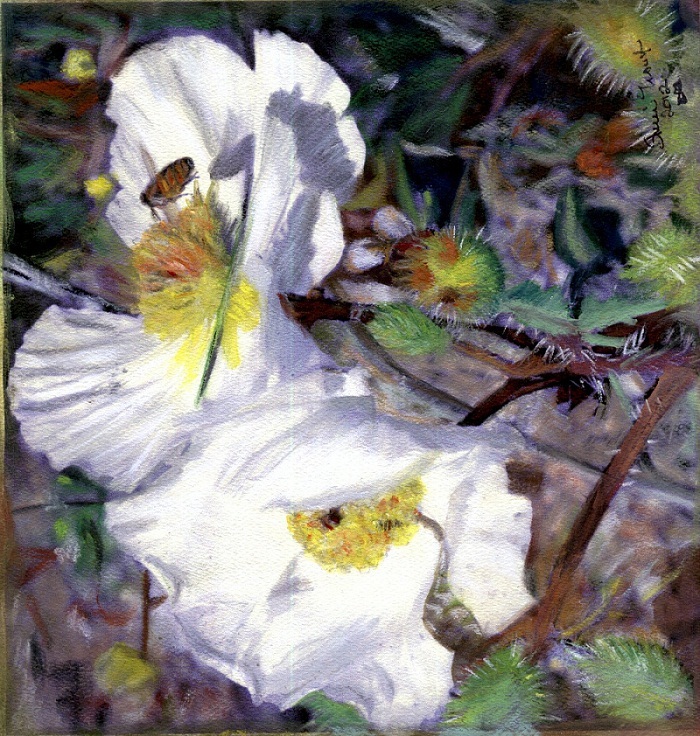 My paintings are creations I see through visions that I have photographed and recreated. 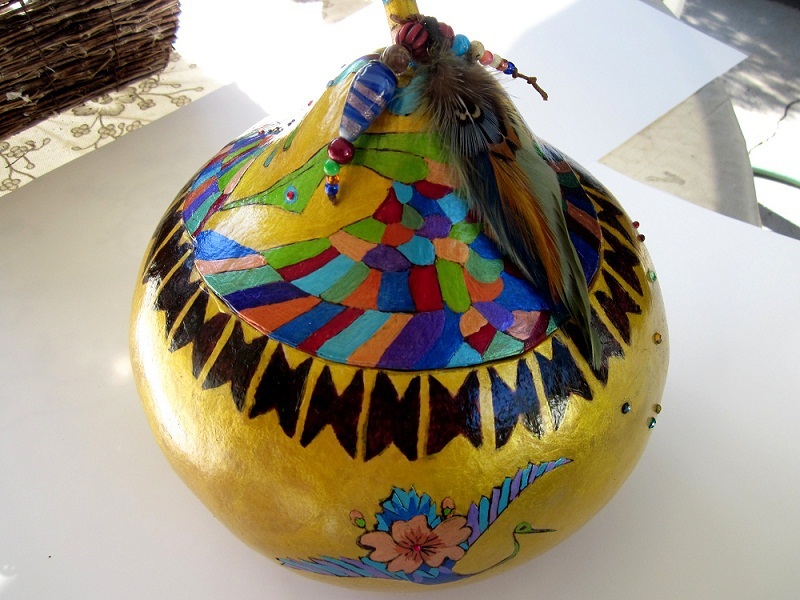 I paint on anything that stands still, such as rocks, feathers, canvas, bottles, people and now on gourds. I am a graduate of C.S.U.N. and majored in Art at Moorpark College. 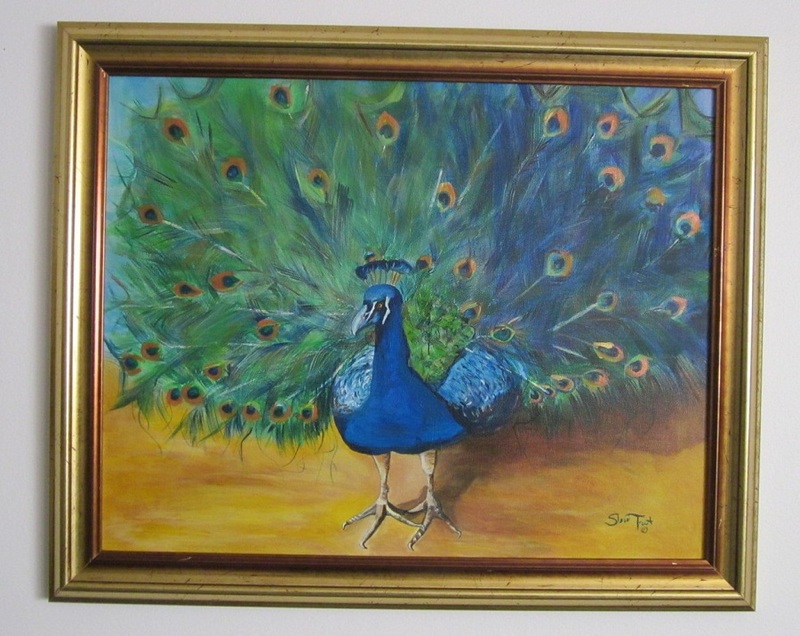 I belong to the Simi Valley Art Association, and have my work in the Art Gallery at the Simi Town Center Mall. 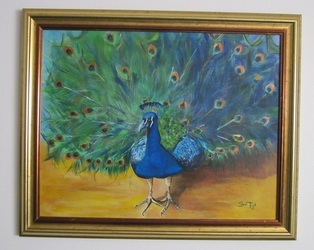 I am a past member of Westlake Art Association. 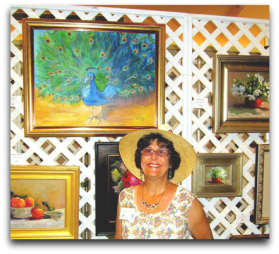 I am actively involved with a plein air group in Thousand Oaks, and I am a member of the Conejo Valley Garden Club. 200 artists and demo teacher Thomas Kinkade. May, 2012 was juried in at Huntington Library. I enjoy all types of art, and also believe in living life to the fullest that God gives each of us! I am a Christian, Motorcycle Mama, Kayaker, Advent Hiker and Adventurer. I have an Electric Blue Metallic PT Cruiser with Purple Flames, and dance in the streets of Catalina at the Art Festival each year. I have also written a Book of Poetry, which I hope to publish some day soon. This is my life and your invited to see my creations. © 2012 Sherri Trout, All Rights Reserved . All photographs appearing on this site are the exclusive property of said SVAA Artist and are protected under United States and International copyright laws. The photographs may not be used in any form without written permission from the Artist. Copyright and Reproduction rights reserved by the Artist.